Sheffield Limo Service Specialises in Prom Night limousine hire Sheffield and Prom Night Hummer Hire Sheffield for Prom Nights. How to Book a really Unforgettable Prom Night Limo Hire Sheffield Party Experience in Sheffield in Just two minutes. Sheffield Limousine Service provides for you and up to sixteen guests on a Night that will not be forgotten for years! We provide a wide variety of luxury limousines, from a twelve seater Limousine up to a sixteen seater top of the range Hummer. Party like you deserve with your friends to the sounds of your favourite tunes of our top of the Supersonic Sound Systems. Sheffield is waiting for the Prom Party Limo Hire Sheffield party of the year to hit town! What should you expect from Sheffield Limos for your Prom Night Party? 1. The Ultimate Respect. When the big day finally arrives, and all the stresses and strains and long nights will have finally paid off, and all the studying can be put to one side. The study books are finally parked, and your wheels are ready to roll. That’s why we have no problem with working out a special deal to reward all of the work and dedication with an experience to put all other Prom Parties to the back of the class. 2. For Parents Booking. We find a lot of the time that it’s the parents that organise the Prom Nights for their children that they’re so proud of. We just want you to let you know that our professional chauffeurs will make sure that they are being looked after while enjoying their Prom night. We’ll make sure the Limo Fridge is packed only with popular soft drinks, and we’ll ensure that they reach where their going and return home safely. Our Chauffeurs have it down to a fine art. 3. We run with your timetable for a change. When you hire us for the evening, you provide the details on where you want to go or better still you can leave the night’s enjoyable events to us. 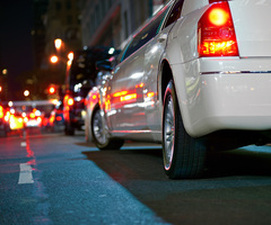 We’ll ensure that you are not only given a five-star experience inside the limo, but also on scheduled stops throughout the evening. It’s our job to make sure that you’re dropped outside the entrance so other students will clock who the celebrities are going into the venue. We’ll also be outside the entrance waiting for you when you depart, and after a quick head count, will be ready to roll at the end of the evening. 4. No more Queues. Our chauffeurs take sort out any priority passes you may want for your party, so there’s no queuing in the cold and rain on your Prom night. Every venue can be pre-booked so all you have to do is step out of the Limo, and strut past the queue. Everyone will be wandering just who you all are as it’ll be your party having the red carpet treatment. 5. Flexibility. You can alternatively have the Limo booked for the whole night if you wish, so if you’d prefer to cruise around the Sheffield all night long with your choice of party tunes on our very latest state of the art sound system, LED screens and party lighting, then that’s just what you’ll have on your special night. 6. Prom Hummer Hire Sheffield. Taking this a stage further up to the top of the class we have our very own H2 Hummer that carries up to 16 passengers, and allows you to party the night away in our top class mobile nightclub where you control the sounds being played on our modern sound systems along with videos being played on LED screens. No Prom party would be the same without the DJ..
Sheffield Limo Prom Service will make all of this happen and more besides. We’ll have achieved our aim for you if you’ve partied like no other, you’ll certainly be happy you picked the party limo specialists. To get this Party on the road complete the form on the right-hand side for a ‘No Hassle Guaranteed’ FREE quote (We Promise). 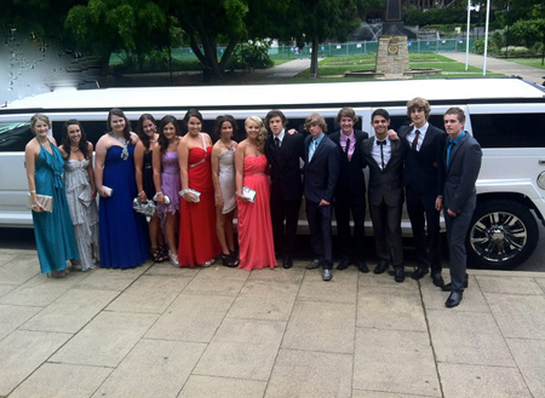 Sheffield Limo Service prides itself in offering the best Prom Night Limo Sheffield prices. Or dial up now on 0114 303 1540 and ask for any special offers that we might be running.